Although notoriously difficult to market to, millennials love promotional products just as much as every other generation; according to PPAI Research, promotional marketing is considered the most effective advertising channel by all generations. 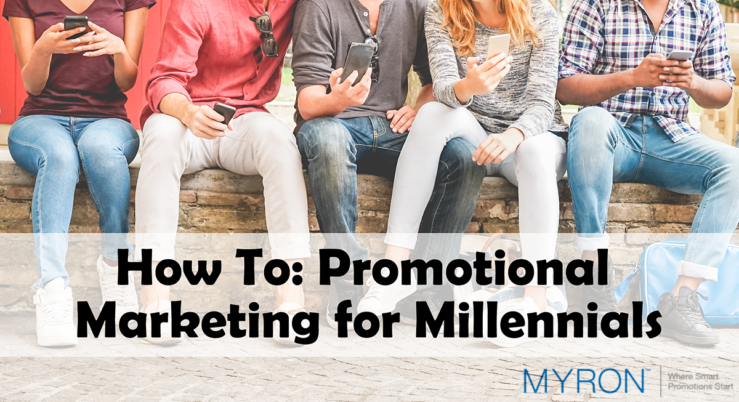 If your business is aiming to engage millennials in particular, the solution may be easier than you expect! Sunglasses: Sunglasses never go out of style, and you can never have too many. Wayfarer-style sunglasses in particular have been popular for the last few years, but millennials tend to be drawn to fresh designs, so bold colors and unique accents can go further than a particular style. Power Banks: Millennial or not, we can all relate to the crushing feeling of our phones dying just when we need them most. With a power bank, your prospects can charge on the go without any worries, and with your logo prominently displayed on the side, they’ll know exactly who to thank for that peace of mind. T-Shirts: Never underestimate the power of a soft, quality t-shirt! Millennials are fashion-conscious and as we explained with the sunglasses, are drawn to the unique. While designer t-shirts are certainly popular, many millennials will sacrifice the designer name in favor of a comfy t-shirt with an original design, especially if they feel strongly about your brand’s message. Your brand’s message does not have to be grandiose to capture the attention of your millennial audience. When marketing to millennials, brand personality goes a long way to securing their trust. Be genuine when expressing your business’s ideals and retire lengthy sales pitches and cold calls. Handing out free promotional products with no strings attached is a better way of winning millennial hearts than aggressive marketing. Trust us, they’ll want to research your brand on their own time after they receive a freebie! Let Myron help you plan the next steps for your successful promotional marketing plan. With our expansive catalog of high quality and affordable promotional products, you’ll be able to successfully market to your target audience from any generation!